If you are looking to clean or “wash” your oriental or fine rug in the Saratoga Springs, Ballston Spa, Albany or surrounding area then look no further! We at J&R’s Carpet Cleaning wash rugs from all over the world including Persian, Afghan, Chinese, Karastan, Turkish, Pakistani, Tibetan, Moroccan, Flat Weave, Needlepoint, Braided, Hand Knotted, Machine Woven, Tufted, Hooked, all Oriental and any other specialty rugs in our state of the art on-site facility! When we receive your rug at our facility the very first thing that we do is determine the origin of your carpet. We then do a very close inspection of the foundation of your carpet, the knots, fringe, lilim, colors, patterns, pile fiber, and pile density. These all give us clues as to the origin of the rug and then allow us to determine how to proceed with washing your rug. From here we determine the shampoo that should be used on your rug so that we are sure that we treat it with the most delicate care that is possible! This inspection also helps us to determine the rug cleaning process that your specific rug requires. Not all rugs are created equal and we want to make sure that we are able to present your rug back to you in the same physical condition but sparkling clean! Call us today to drop off your Area Rug to be cleaned! When working with wool it is common knowledge that wool is designed by mother nature to hide insoluble substances. This can range from hair to dust to sand and much more. Just as you would not wash clothing with pockets full of dust and dirt we do not wash your rug with this accumulated dust and debris embedded in the foundation. It is normal for us to remove pounds of old dead broken fiber and dust that is lodged deep in the foundation of your rug. This is where our mechanical dusting machine comes in handy. Using pure vibration, this machine beats the backside of the rug to dislodge the particulate matter that is trapped in your rugs foundation and its fibers. 75% or more of the soil that is found in your wool rug is particulate matter and this gets buried deep into millions of tiny pockets of the wool fiber known as the fiber cuticles. Over the years this particulate matter can build up and start to cause damage to your rug. This is why washing your rug is a very important step in preserving your beautiful investment! This process is pretty much what it sounds like. We submerge your rug completely into a mild solution that has been designed for your type of rug and that we have determined is appropriate for your particular rug. This is actually the most thorough cleaning process in the world! However, not all rugs can be washed using this process because not all of these rugs are constructed the same. This technique is used when we know for sure there is a 100% chance that the dye in your rug may bleed. This is also a post-cleaning technique. Dry foam is necessary when we have specialty fibers like Rayon or if there is a major concern of buckling, dimensional stability or if there is a possibility that the dye may bleed. We have come to realize that many modern Afghan rugs fall into this category of having a potential of a dimensional stability or dye bleeding. This technique is incorporated as a post process when we are concerned that wick up is a potential. We like to use the 100% natural process of flushing your rug with fresh clean cold water. We will run this water over your rug until it runs absolutely clear. This allows there to be no shampoo, sticky residue or grime left behind. In many cases this allows us to give you a rug that is cleaner then when you purchased it! After we have washed and rinsed your rug we take a moment to engage in the grooming process. This allows us to prepare you rug by grooming the fibers into the correct position in preparation for drying. 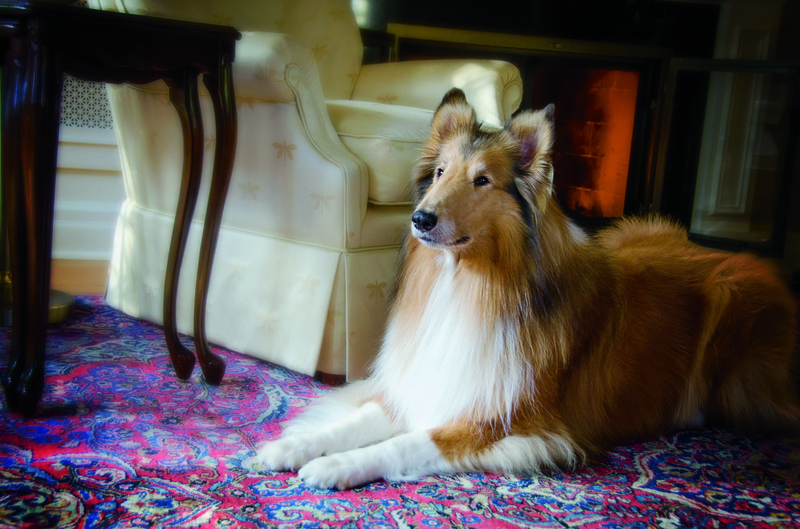 We know that temperature, humidity, and airflow are critical factors when we dry your rug. The drying tower that we use allows warm dry air to flow around the rug and help speed up the drying process. Sometimes there are rugs that come to us that cannot be dried using this process. In this case, we will lay it flat and increase the heat and low humidity to keep the process timely. Our part in this process is not over until your rug is completely dry. If you have ever had the displeasure of forgetting your laundry in the washer for a couple of days you will completely understand why will not allow a wet carpet to leave our facility. Generally rugs dry in a 24-hour cycle.